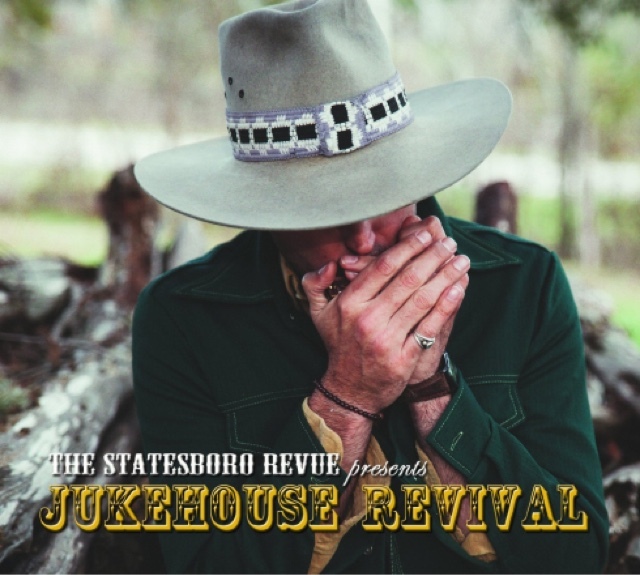 LIVE MUSIC - Music of New Braunfels: New Album from Statesboro Revue coming SOON! Nashville, TN-(July, 14, 2015)-In June 2015, The Statesboro Revue embarked on their second full-blown international tour, performing 37 shows in 50 days across 8 countries. Led by the soulful voice of Stewart Mann, his seasoned timbre is well-worn, but polished enough to instantly recall the vocal greatness of singers from decades past. Their trademark sound is both fresh and familiar, like new spirits that haunt old houses, and that multi-generational span has fashioned the band with a global following and with consistent requests for their live show experience overseas. This tour came just in time to test the waters on their brand new album “Jukehouse Revival,” and the Texas born band is happy to be back home just in time for its official release on August 7th. The first single, “Undone,” is the centerpiece of the collection, a reflection of the lives of hard working Americans, and has just been unleashed on radio where it is gaining major radio airplay across the region. In 2013, the music industry watched as The Statesboro Revue recaptured those familiar old school rock and roll sounds with the tour de force that was their brand new album “Ramble On Privilege Creek.” The earthy hooks, the sweet Celtic whines, and the gypsy pulsation catapulted the Texas-based band into high media altitudes snaring rave reviews from premier outlets including Rolling Stone Magazine who proclaimed The Statesboro Revue as one of the highlights of the South by Southwest Conference and Festival. The album quickly took hold, hitting #25 on the Americana Music Chart, #5 on the European Americana Music Chart, and scored one Top 10 hit (“Huck Finn”) and two Top 15 hits (“Fade My Shade Of Black,” “Live A Little”) on the Texas Music Chart. The music video for the infectious fan favorite “Huck Finn” debuted at #5 on CMT Pure 12-Pack and rose to #3. In 2014, they were featured performers at the Austin City Limits Festival kickoff party, on the nationally syndicated Texas Music Scene TV, at the esteemed MusicFest in Steamboat Springs, Colorado, and they were handpicked by Lynyrd Skynyrd to join the southern rock brotherhood on the 8th Annual Simple Man Cruise, along with Blackberry Smoke and Foghat.